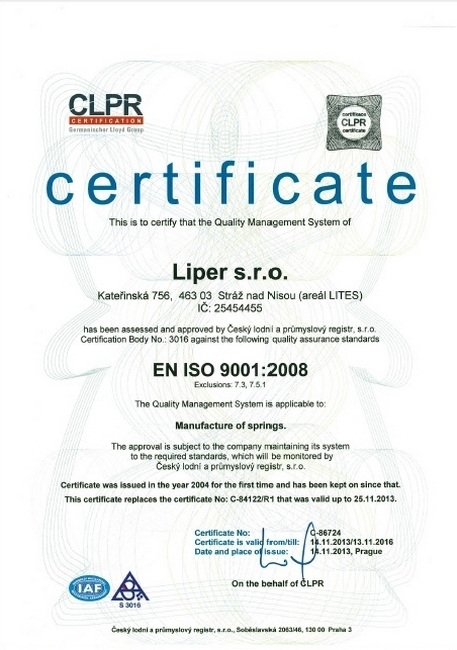 From the early beginning when the company Liper was established was the quality system used because of the experiences of the workers and supplies to automobile industry. In the year 2003 was company cerified by the company BVQI acording to ČSN EN ISO 9001:2001. In our system there are from the year 2004 incorporated some VDA and QA 9000 elements, which are specified and described in the company manual. 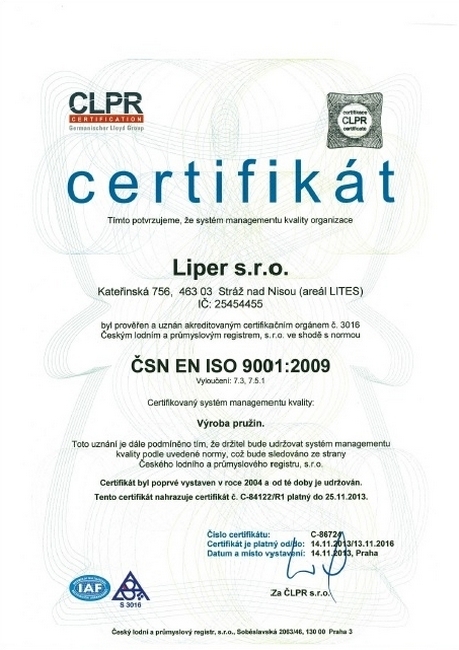 In the year 2009 was company checked and acknowledged by accredited certificate member CLPR with the accordance to norm ČSN EN ISO 9001:2009.